Dr. 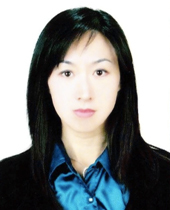 Crystal L. Chen is an active Certified Public Accountant (CPA) in California, U.S. . She is currently the CFO for Dr. Lan Academy, Inc., an online educational institution and the Global Finance Director for Cycle Link (U.S.A.) Inc.
She worked as the Chief Finance Officer(CFO) for QKL Stores Inc. a Nasdaq listing company and helped the company financed for about $55 million in 2009 and 2010. She gained experiences in investor's relationships, company budgeting and forecasting, SEC filing, company finance and managements. She also worked for PricewaterhouseCoopers, LLP( one of the big four CPA firms in the world) and other CPA firms and gained extensive experiences in Business consulting, merger and acquisitions auditing and internal controls. She studied in Renmin University of China, University of Southern California and California State University, Los Angeles, and got her PhD in Finance, Masters in Business Administration, Bachelor's degree in accounting.